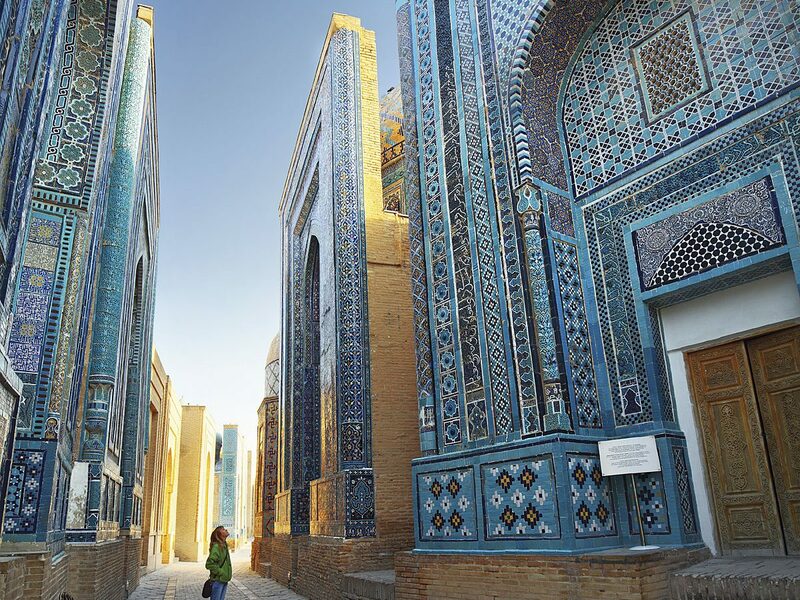 Samarkand (or Samarqand) is a city in modern-day Uzbekistan, one of the oldest continuously inhabited cities in Central Asia and also one of the greatest, thanks to its commanding location on the Silk Road. 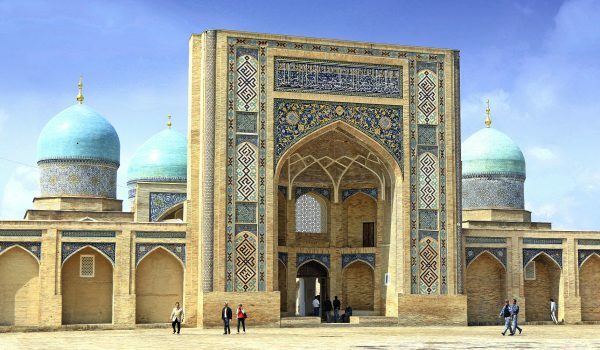 A day can easily be spent visiting the sights of Samarkand, which during the rule of Timur was considered the world’s most beautiful and prestigious city. 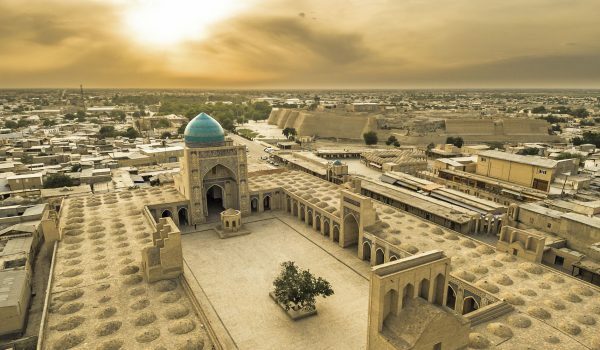 The Necropolis of Shah-e Zinde (the living Shah), the excavation sites at Afrosiab (with a museum tour), and Registan Square are certainly among the most notable architectural ensembles in Central Asia. 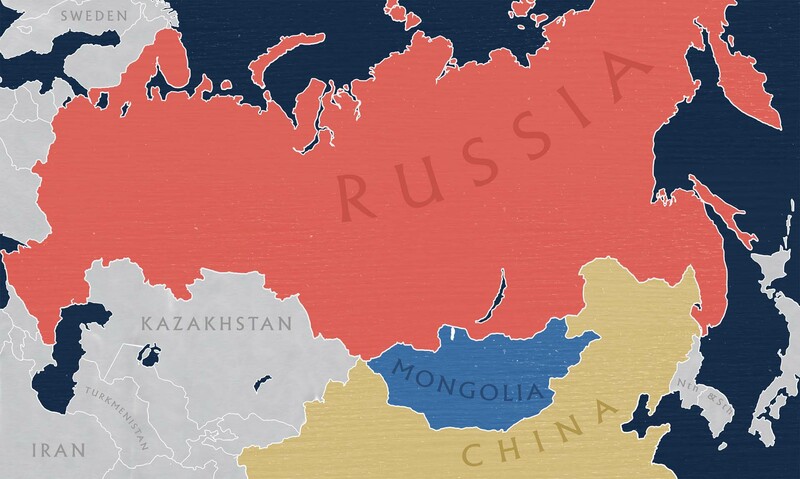 It is also historically important as the site where many Uzbek women burned their veils (paranjas) in 1917, to mark their arrival in a new era. 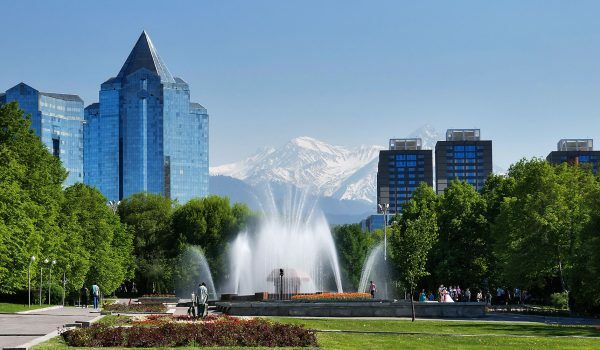 Your day in this fascinating city will likely include a tour of a silk carpet manufactory, a visit to an Uzbek craftsman’s family to see paper being made from mulberry bark, stops at the Ulug Beg Observatory and the ruins of the Bibi Khanum Mosque, and viewing the interior of the palace-like Gur Emir Mausoleum.